You would think “Another singing competition?” This show is interesting because the judges or coaches as they like to call it are not allowed see the contestant when they perform. The contestant is being judged by their voice and voice only. The coaches will only then choose to turn around if they wanted the contestant to be on their team of 8. There are times that they are surprised or regret when they do turn around to get a look at the contestant. This show is way more interesting than American Idol. 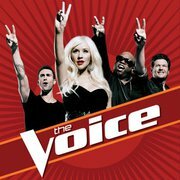 For one, the coaches are one of the hottest artist NOW, Adam Levine, Cee Lo Green, Christina Aguilera and Blake Shelton. Two, there are literally no real bad contestants singing off-key. Three, it just not the contestant competing to win but the coach as well. The competitions between the coaches for the contestant to be on their team are pretty intense and they are making fun of each other and jokes along the way. I just never realized Adam Levine is so funny and he sure know what he wants because he didn’t buzz easily for any contestant. All coaches sang “Crazy” by Gnarls Barkley as the opening number and it was impressive to see all the coaches jamming the song with their own styles. It is still too early to predict on the winner Each judge has 3 contestants on his/her team. Adam’s team seems to be the strongest from the look of it. Tje Austin, Javier Colon, Jeff Jenkins stood out among the contestants and Jeff and Tje are on Adam’s team. Javier’s performance is available on iTunes and it is on the Top 100 best selling track on iTunes (WOW!). After picking all the team members, the competition will continue where 2 contestants will be singing the same song. It knock-out round to reduce the team members from 8 to 4 and it will be intense. This show did catch my attention and I will definitely stay tune for next week airing. For more information, visit The Voice on NBC site.